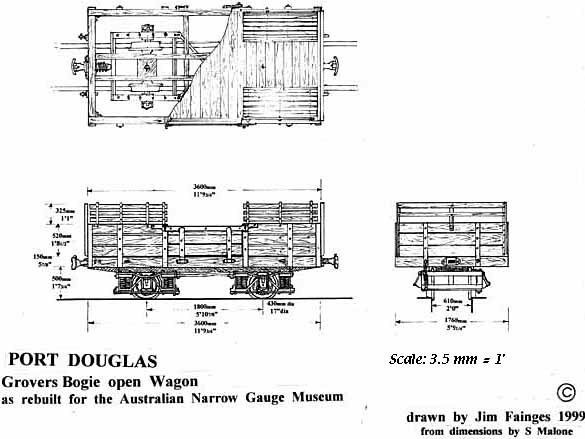 Two-axle cars operating on lines with sharp curves, such as Queensland Railways, used Grovers bogies. Rubber-tyred metros feature special wheelsets with rubber tyres outside of the special flanged steel wheels. The unusually large flanges on the steel wheels guide the bogie through standard railroad switches and in addition keep the train from derailing in case the tires deflate. Most train wheels have a semi-conical taper of about 1 in 20. The semi-conical shape helps steer the wheel set around curves, so that the wheel flanges do not come in contact with the rail sides. The rails generally slant inwards at the same rate as the wheel conicity. As the wheels approach a curve, they tend to continue in a straight path due to the inertia of the rail car. This inertia makes the wheel set to shift sideways as the track curves under it. Due to this fact, the effective diameter of the outer wheels needs to be greater than that of the inner ones. Since the wheels are joined rigidly by the axle, the outer wheels travel farther, then causing the train to naturally follow the curve. For more information on this process, see Hunting oscillation. Queensland Railways, for its first hundred years, used cylindrical wheels and vertical rails. With non-inclined rails and cylindrical wheels, the wheel squeal from trains taking curves on that railway was slight. After adopting coned wheels and inclined rails from the mid 1980s, the wheel squeal from trains curving at the same location and at the same speed decreased immensely. Some modern systems, such as Bay Area Rapid Transit (BART) in San Francisco, use cylindrical wheels and flat-topped rails; BART is now switching to conical tread to reduce the noise caused by flange/rail contact and loss of adhesion of one of the wheels on curves. Two wheelsets with journal boxes in a North American (Bettendorf-style) freight bogie displayed at the Illinois Railway Museum. ^ John Knowles, The Queensland Railways and its Cylindrical Wheels,Sunshine Express, Vol 17, No. 189., December 1981, p 241. ^ "The Four-Year Fight to Make San Francisco's Subway Stop Screaming". Wired. 2016-09-02. Matthias N. Forney (1974) . The Railroad Car Builder's Dictionary. Dover Publications, Inc.
"APTA PR-CS-RP-003-98 Recommended Practice for Developing a Clearance Diagram for Passenger Equipment 5.3.2.1 Design tolerances" (PDF). APTA.com. American Public Transportation Association. 1998-03-26. Retrieved 2015-01-17.